Keeanga-Yamahtta Taylor’s presentation, “‘Unsophisticated Buyers’: Homeownership and the end of the Urban Crisis in the 1970s,” will take place in 10 Sparks Building, on Thursday, March 15, at 6:00 p.m. Description: At the end of the 1960s, the federal government officially ended its long history of excluding African Americans from policies designed to encourage homeownership. In the wake of urban uprising and in response to growing Black income, federal officials partnered with private institutions connected to the real estate industry to promote homeownership in cities across the country. These new policies did not constitute “big government” instead they opened a new era of “partnership” between capital and the state in the provision of low-income housing. The new approach to resolving the longstanding issue of the dearth of safe and sound urban housing raised critical questions about market based solutions in resolving issues rooted in economic and racial inequality. The focus on the resolution of “redlining” and other means of exclusion have posited “inclusion” as the solution, but without attending to the cause of exclusion in the first place—racial discrimination—would “inclusion” alone resolve the imprint of discrimination on the real estate market? This talk engages those and other questions pertaining to whether public-private partnerships are a viable solution to the chronic housing crisis in the United States. This event is co-sponsored with the Population Research Institute and the Department of History. Keeanga-Yamahtta Taylor is Assistant Professor of African American Studies at Princeton University. 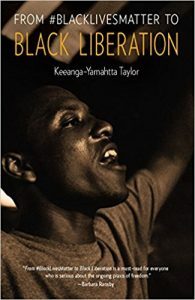 Taylor’s writing and scholarship engage issues of contemporary Black politics, the history of Black social movements and Black radicalism, and issues concerning public policy, race and racial inequality. Taylor’s writing has been published in New York Times, The Guardian, Los Angeles Times, Boston Review, The New Republic, Al Jazeera America, Jacobin, In These Times, New Politics, Souls: A Critical Journal of Black Politics, Culture and Society, The International Socialist Review and beyond. Taylor is also author of the award-winning From #BlackLivesMatter to Black Liberation published by Haymarket Books in 2016. 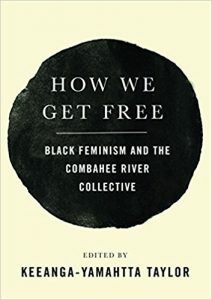 She has also recently published How We Get Free: Black Feminism and the Combahee River Collective with Haymarket Books. Taylor has a forthcoming book with the University of North Carolina Press titled Race For Profit: Black Housing and the Urban Crisis of the 1970s. Taylor received her PhD in African American Studies at Northwestern University in 2013.